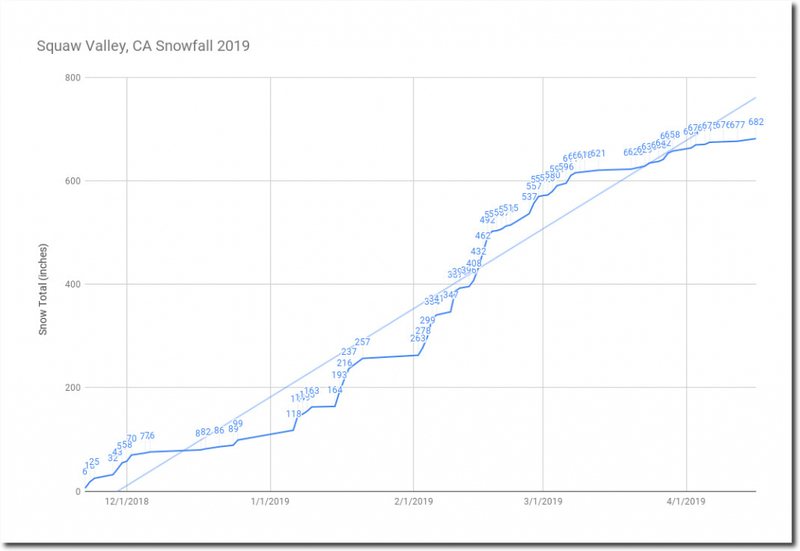 Squaw Valley, CA is having their second snowiest season on record, after the record year of 2017. 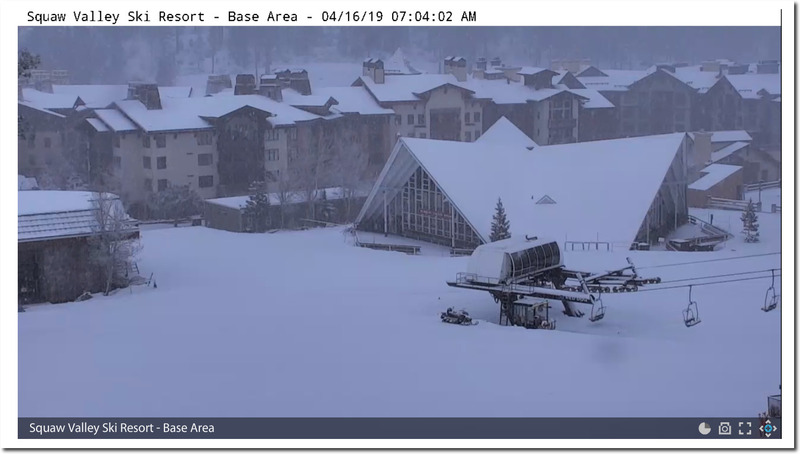 They will be skiing well into July. 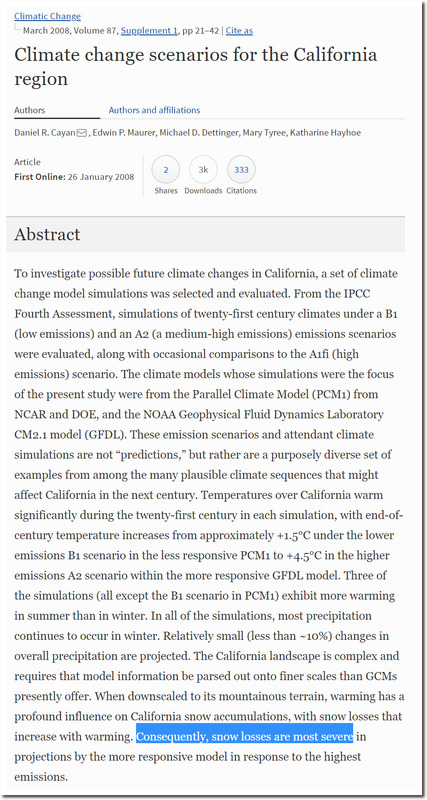 In 2008, Katharine Hayhoe predicted the demise of snow in California. 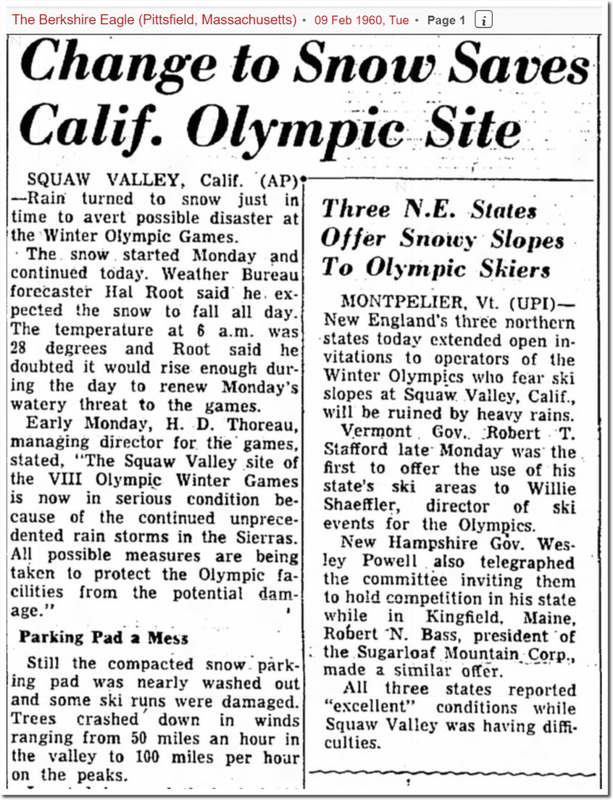 When CO2 was below 320 PPM, the 1960 Squaw Valley Olympics almost had to be cancelled because of warmth and a lack of snow.